Critical differences between Chinese and U.S. thinking about nuclear weapons and deterrence result not merely from differing security environments and levels of military strength; they also exist because China and the United States have developed their own nuclear philosophies in implementing their security policies over many years. Chinese and U.S. nuclear experts communicate regularly, but these exchanges often remain difficult and inefficient. Critical differences between Chinese and U.S. thinking about nuclear weapons and deterrence result not merely from differing security environments and levels of military strength; they also exist because China and the United States have developed their own nuclear philosophies in implementing their security policies over many years. 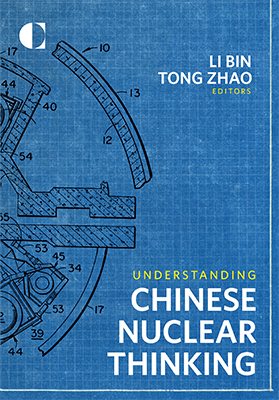 A deeper understanding of these differences sheds light on the fundamental drivers of China’s nuclear policies and how such policies may evolve in the future. Important strategic concepts have very different connotations among Chinese and U.S. experts, including nuclear deterrence, arms races, and strategic stability. Chinese analysts, for instance, consider nuclear deterrence and compellence to be indistinguishable in most cases, and thus often criticize the offensive implications of some U.S. nuclear deterrence policies. China’s security paradigm emphasizes national security challenges deriving from vulnerability, particularly technical lagging, whereby another country masters a military technology that it has not. In many cases, China pursues military and nuclear development efforts simply to master new defense technologies, but not necessarily deploy them, so as to avoid technical lagging. China believes the ultimate goal of nuclear disarmament is completely eliminating all nuclear weapons and that the best way of achieving this is to first constrain their use. This informs how China prefers to approach nuclear disarmament. China’s no-first-use policy for its nuclear weapons still serves its national security interests. Notwithstanding recent debates, the policy continues to effectively guide China’s nuclear-weapon development and operations, and its nuclear-arms-control diplomacy. Chinese experts weigh both technical and political factors in their calculation of strategic stability. They especially worry about instability caused by technical lagging. To reduce the danger of nuclear war, Chinese analysts favor the maintenance of an effective firebreak between nuclear weapons and conventional conflict. China views nuclear proliferation and nuclear terrorism as growing national security challenges. Beijing emphasizes the importance of addressing the root causes of proliferation and supports greater international cooperative efforts to mitigate these risks. China has made its nuclear policy and practices more transparent in recent years. But such transparency needs to be organized more systematically to make U.S.-China nuclear dialogue more effective. Other countries’ nuclear-weapon strategies are increasingly influencing traditional Chinese nuclear thinking and nuclear-weapon policy. Consequently, growing debates in China about its nuclear-weapon policy could result in some deployments of new Chinese weapons, as seen in other nuclear-armed states. It continues to be my personal belief that the United Nations Security Council should control the joint United States South Korea Military Drills in order to create stability and deterrence of nuclear development in North Korea.